Gearsmas has arrived in Gears of War 4 with all new Gearsmas skins to collect, the return of Jingle Juvies, new challenges to complete and more! Check out the trailer above for your first taste of Gearsmas including the first look at the Gearsmas 2018 skins then read on for all the info. 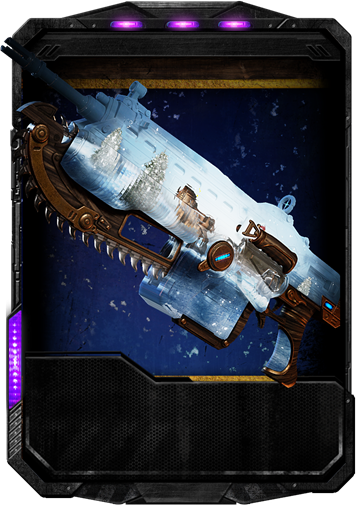 Collect two new Gearsmas characters and the animated Snowglobe Weapon Skin set this Gearsmas! 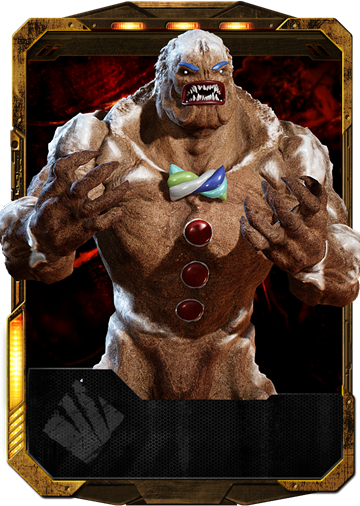 The Gearsmas 2018 pack features a festive (albeit slightly creepy) Gingerbread Imago alongside a very classic Holiday look for Oscar as Santa’s Helper. Somehow we don’t think you’ll have too much of a problem spotting him on the battlefield.. 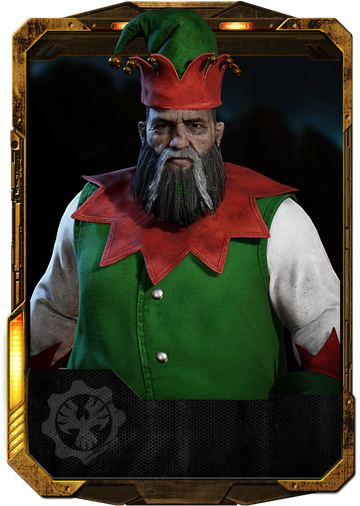 The Gearsmas 2018 Pack will be available until January 4th in both a 400 Credit and 2000 Credit Gear Pack. As with all recent pack releases, both characters and the weapon skin set will also be available individually for direct purchase in the Gears 4 store. If you’re a little short on Credits this Gearsmas, don’t worry – we’ve got just the thing. 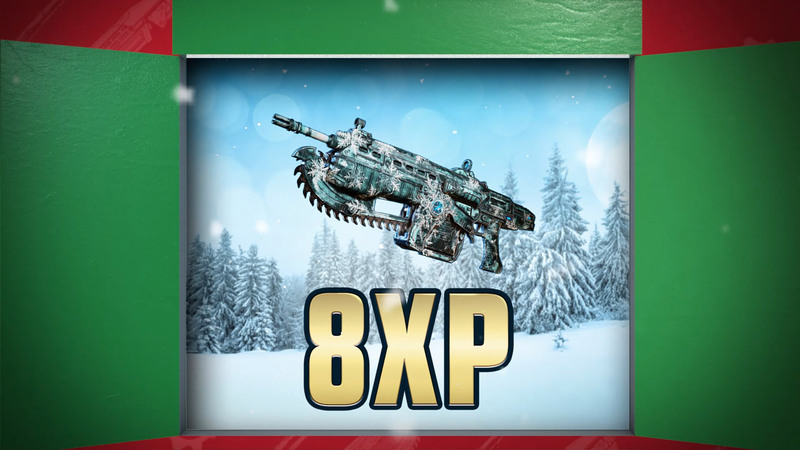 The 12 Days of Gearsmas are back and bigger than ever beginning today, starting with a MEGA 8XP bonus for 24 hours! Every single day, we’ll be giving away Gearsmas content from years gone past and turning on some serious bonuses (yes, that means there’ll be big Credit boosts). We’ll also be giving out one or two skins from the new Snowflake Weapon skin set every day simply by logging in. Easy! Keep an eye out every day on our Facebook, Twitter or Instagram channels to see what’s on offer every 24 hours. Complete 3 full matches of Jingle Juvies on any difficulty to pick up a very special Holiday gift – a 5 card Gear Pack containing 5 random Midnight Omen Weapon Skins (you can only claim one of these Packs over the course of Gearsmas). Once you’re done, head over to My Rewards to claim your reward! Early this week, we discovered a critical issue with Snowball Fight that prevented the mode from launching today along with the other Gearsmas festivities. On Monday, we will be releasing a Title Update to rectify the issue and activate Snowball Fight. We wanted to keep the festive slay bells ringing for our Versus fans, so in the meantime, an XP boosted version of Brothers to the End with Gearsmas hats is now live in Gears 4 until we launch Snowball Fight on Monday! 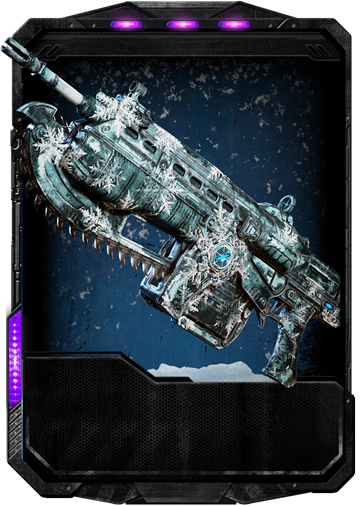 Once Snowball Fight arrives on Monday, kill 100 opponents in Snowball Fight over the Gearsmas period to take home the Ice Boomshot weapon skin and the Heartbeat Boomshot. As always, visit My Rewards to claim your reward! We hope you all have a blast with the Gearsmas festivities throughout the Holidays. Let us know what you think by tweeting @CoalitionGears or jumping in to our forum. This week, we wanted to feature MC Ricky9, a Spanish-speaking content creator who’s been a fan of Gears of War for many years. MC Ricky9 frequently posts new content and you will find on his channel many videos ranging from gameplay, tips and tricks, new characters/weapons skins, etc. If you want to play with him, feel free to send him a game invite on Xbox Live – his gamertag is Mc Ricky9. 5 Logros SECRETOS QUE NO SABIAS QUE EXISTÍAN EN EL JUEGO ¿Como desbloquearlos? Check out some other great videos on his YouTube channel. You can also keep in touch with him on Twitter. 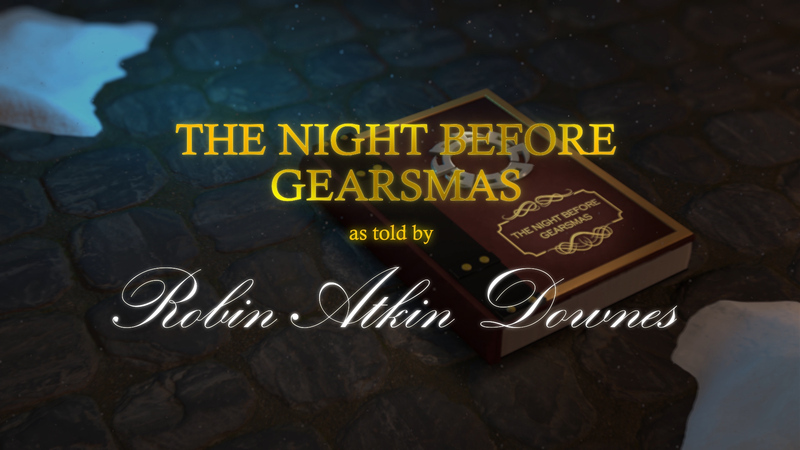 With Gearsmas in full swing for the next few weeks and the Holidays fast approaching, this What’s Up marks our last of the season. We wanted to take this opportunity to say a massive thank you to all our fans for your incredible support in 2018, for your passion for Gears 4 and for your continuing feedback that drives us to be better every single day. We’ll be returning next year on January 10th with your regularly weekly dose of What’s Up. Until then, we wish you the very best Holiday season and hope you have a bunch of extra time to get your Gears fix in. When we return, we’ll be in 2019 – the year of Gears 5. We can’t wait. See you on the flipside.